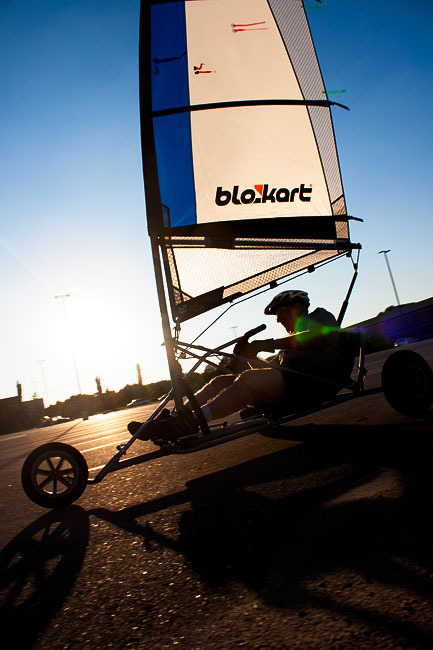 For more nnformation about blokart® sailing in southern Wisconsin visit our main web-site. Catching up on recent activity! Well, there's been a lot of activity since the last post. We have been posting to the club's Facebook page, but I'll try and recap a bit here. Over the summer we sailed a number of times at various lots around town. Mostly just ripping around for fun. Wayne Schmiedlin suggested trying the Memorial High School lot with the SSW winds we had this evening. It turned out to be a pretty good ride. Geoff Sobering was able to get some good laps with the 4.0m2 sail, but when Wayne switched out of his blokart with the 3.0m2 into the larger sail he was really able to get going! 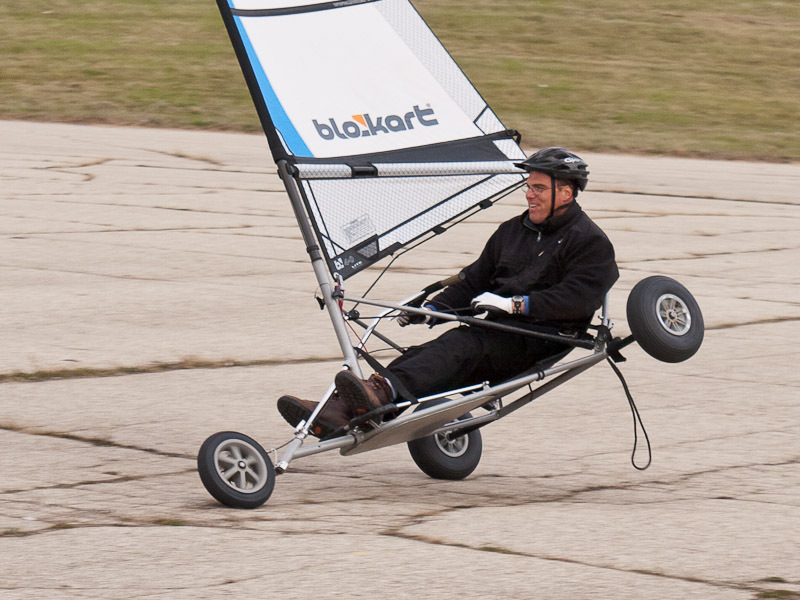 The first meeting of the Badger blokart Club will be 7:00pm, Tuesday June 1 at the Nordhaus Boatwerks, 6701 Sebold Road, Madison (near West Town Mall). Copyright 2011 Badger blokart Club - All Rights Reserved. Powered by Blogger.